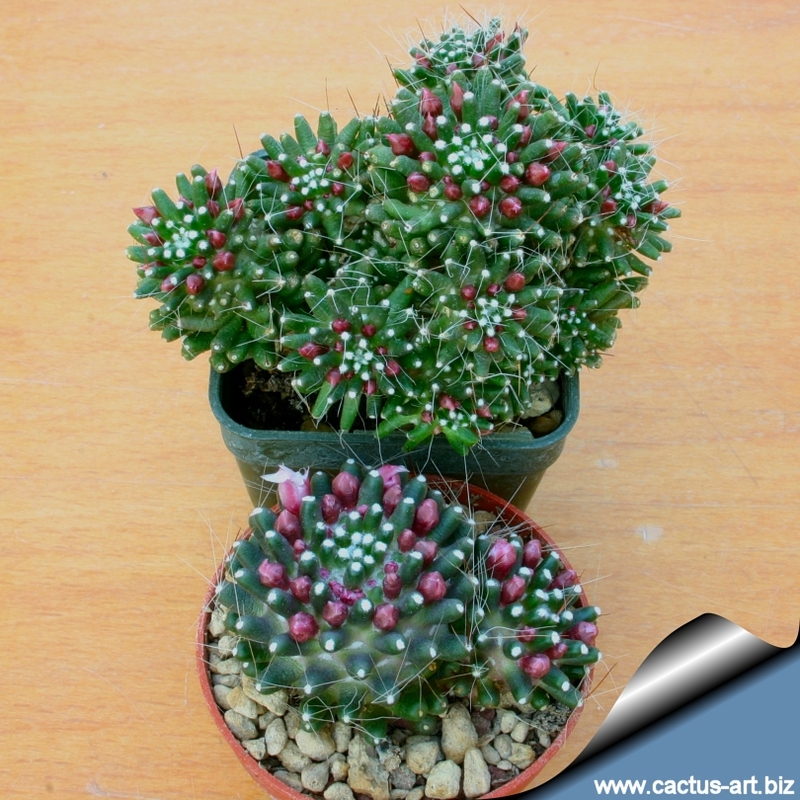 Mammillaria "CATERPINCY " (Above in the square pot) and Mammillaria painteri forma mostruosa (Below in the round pot) is a monstrose, this are two old very similar cultivar with really weird shapes characterized by reduced or absent spines, free branching, and small pink flower. Description: It is a free branching cultivar that forms large low clusters of soft textured green stems, some only a few centimeters across. Without or with very few thin hairy spines a the tubercles tip. The flowers are small and pink. 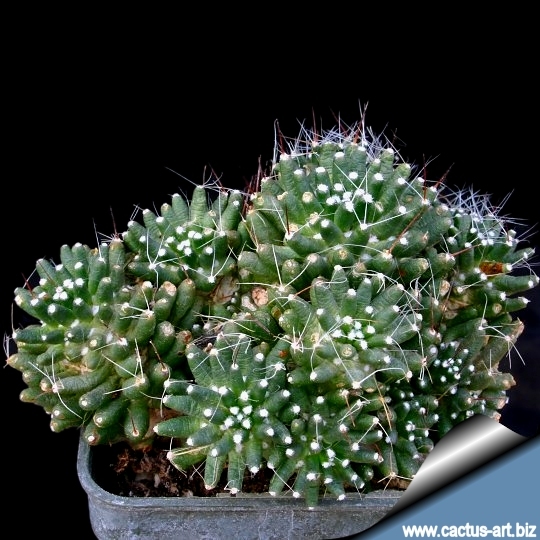 Mammillaria cv. CATERPINCY looks almost identical to Mammillaria crinita ssp. crinita "mostruosa" we do not exclude that the two different named cultivar are the same.